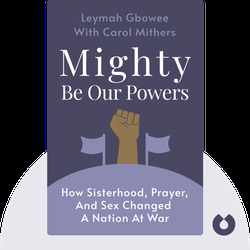 Mighty Be Our Powers (2011) tells the inspirational story of Leymah Gbowee, a woman who fought for peace after years of civil war had devastated her country, Liberia. As a mother who believed her bright future had been snatched away from her, Gbowee brought together a powerful group of women who were fed up with the violence. Their peaceful protests changed the course of history, and their story deserves to be heard by anyone who’s ever lost hope. Leymah Gbowee is a peace activist and recipient of the 2011 Nobel Peace Prize for her efforts in empowering Liberian women and putting an end to her nation’s civil war. She is also a cofounder of the Women Peace and Security Network Africa, as well as president of the Gbowee Peace Foundation, in Africa. 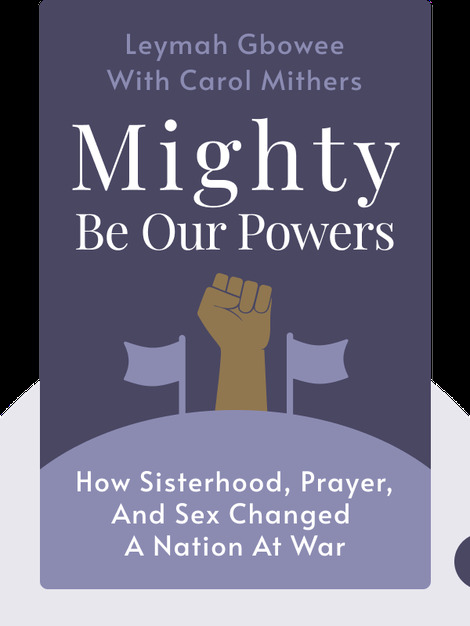 Carol Mithers is a journalist and author whose work has appeared in a variety of respected publications, including the New York Times and the Los Angeles Times.